The £1.9bn headline price suggests both General Motors and Peugeot think the former's European operations have significant value. The fine print of the deal suggests something slightly different, and shows that GM has in fact taken a hit of up to £6bn in order to get shot of Vauxhall and Opel. First, a big chunk of the price - three-quarters of a billion pounds - is not for car plants, but for loans taken out by the owners of Opel and Vauxhall cars through GM's finance arm. Peugeot is paying four-fifths of the book value of the outstanding loans. Second, GM is keeping most of the outstanding pension liabilities. Peugeot will take on a few of the schemes, and is being paid £2.6bn by GM for agreeing to do so. 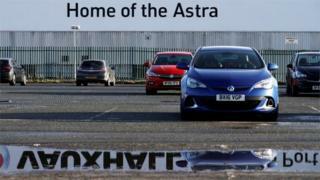 Third, the Detroit giant will take an accounting hit of £3.2bn on the deal - a confirmation that the value it had placed on Opel and Vauxhall in its own books was born more out of hope and the scale of past investments than any solid expectation of future profits. GM's financial agony does not mean, of course, that Vauxhall and Opel will not prosper under their new owner. Peugeot thinks it can squeeze £1.5bn of savings out of the combined operation, and if it can help the French carmaker break into new markets the deal will have done its job. GM, meanwhile, continues to shrink its ambitions and focus on the future. Since it was bailed out by the US government in the aftermath of the financial crisis, it has closed in America the Oldsmobile, Saturn, Hummer and Pontiac brands, and ditched its plants in Australia, where it had made cars since 1931. This might be seen as a retreat from former glories, but it may instead reflect GM's hard-headed conviction that the future is China - where it is the strongest of the US players - and electric and self-driving cars, where America, not Europe, leads the way.